IX Reach offers connectivity into NL-ix Amsterdam and Frankfurt exchanges. 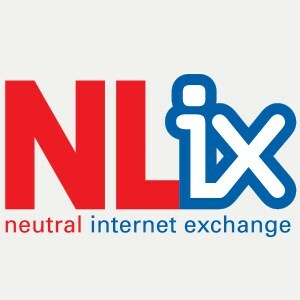 NL-ix has always been different from other Internet Exchanges, ever since it was established in 2001. Unlike other exchanges, from the moment the exchange was built (2002) the team offered a range of transport, transit and training services. In those days, this was seen as undermining the neutrality of an exchange, so there was a Chinese wall built between the ‘pure’ exchange and the more commercial service offerings. The evolution of the IX model, and development of new pure play B2B cloud interconnection businesses finally enabled us to fully integrate the two sides of the business. The synergy between the Internet Exchange and interconnection services is powerful: On the one hand our IX members drive and benefit from our international distribution and the quality of our core network. On the other hand we extend the neutrality of our IX approach to customer service, allowing any member anywhere to connect, and offering every form of interconnection – free peering, premium peering, routing, cloud connection and dedicated transport. We are happy to seek out new peering and connectivity partners for customers ‘beyond the net’, and we work constructively with every other internet exchange, in Europe and beyond. Today, all of this has made NL-ix Europe’s most experienced – and largest – international Interconnect Exchange. NL-ix has 635 member networks and operates a stable, low-latency, transparent fabric interconnecting 15 countries, 25 important metropolitan areas cities and 105 data centres and these numbers are constantly growing.